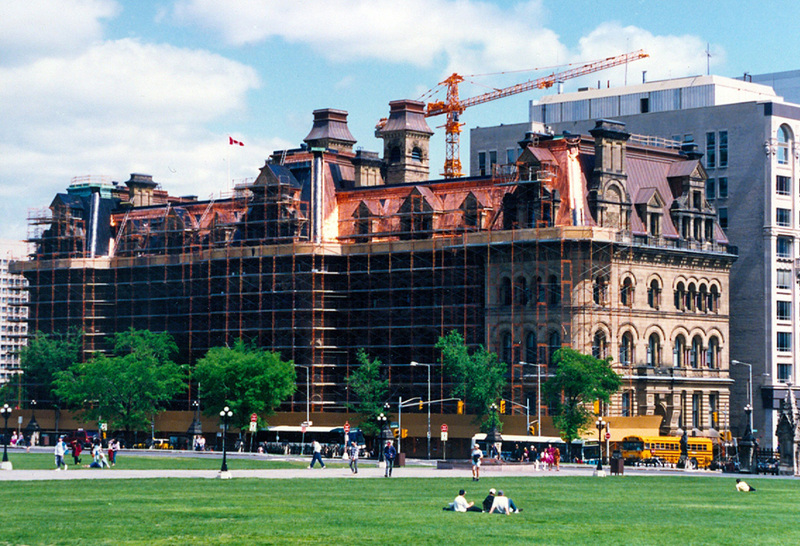 Langevin Block is a government office building in Ottawa located across from Parliament Hill. This building acts as Office of the Prime Minister and the home to the Privy Council Office. Named after one of the fathers of confederation cabinet minister Hector Langevin, this building is a National Historic Site of Canada and is built in the gothic Revival style, with Canadian sandstone, and a mansard copper roofing system. Heather & Little was honored to be chosen to help restore this piece of important political history and revitalize part of the Ottawa landscape. When Heather & Little took on this project, there was a significant amount of work that needed to be performed to restore the copper roofing. 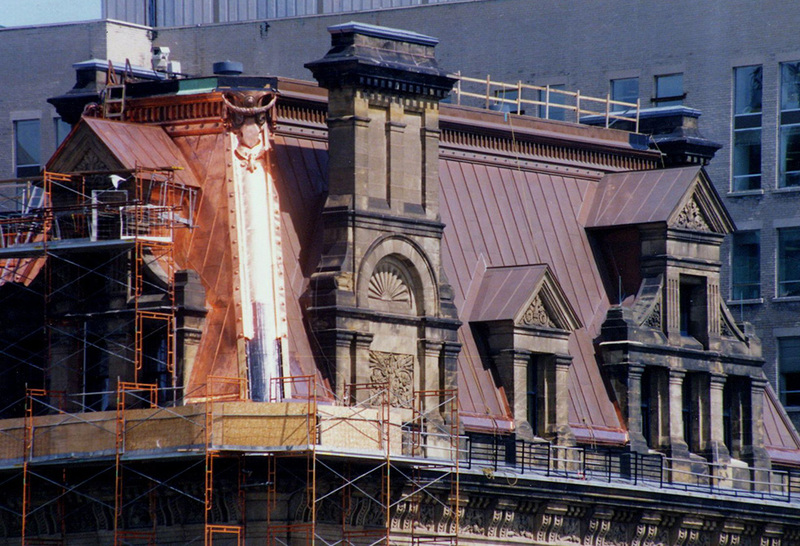 A complete removal of the old copper roofing system was necessary, and decorative stamped metal items were replicated. The restoration of decorative ornaments included stamped sheet metal roof crestings, finials, cartouche, cornices and decorative copper hip covers. Designs for the decorative sheet metal items were stamped into the copper sheets to replicate original items that were damaged over time.